St. Paul, Minn. — The stories of a New Hampshire woman, an Ojibwe Indian and a Native American drum are intertwined in Minnesota author Louise Erdrich's new novel, "The Painted Drum." Erdrich, who is the author of 11 novels and numerous other works of poetry and children's books, has won acclaim for her chronicles of the Native American experience. She is also the owner of Birchbark Books, a small independent bookstore in Minneapolis. In "The Painted Drum," the story begins with the character of Faye Travers. She and her mother operate an estate sale business in New Hampshire. Faye is cleaning out an old man's closet when she stumbles upon a rare painted drum -- a sacred object for Native Americans. From Faye's discovery, we trace the drum's passage both backward and forward in time, from a reservation on the northern Plains to New Hampshire and back. Erdrich says Faye considers herself perfectly assimilated into "white culture." But when Faye hears the quiet beatings of the drum, her desire to reconnect with her own Indian heritage awakens. 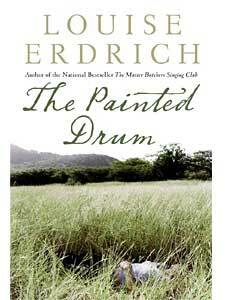 Erdrich spoke about "The Painted Drum" with MPR's Greta Cunningham. To listen to their interview, choose the audio link in the right column.